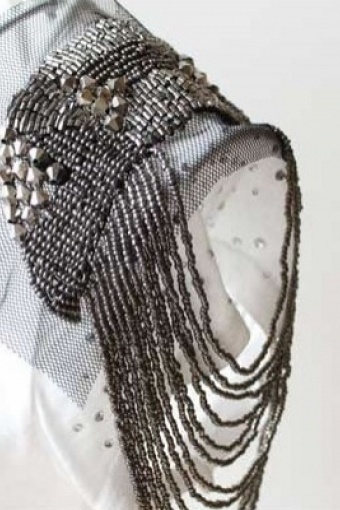 So cool 70s studio54 style this handmade Epaulette shoulder jewellery brooch FROM PARIS WITH LOVE! 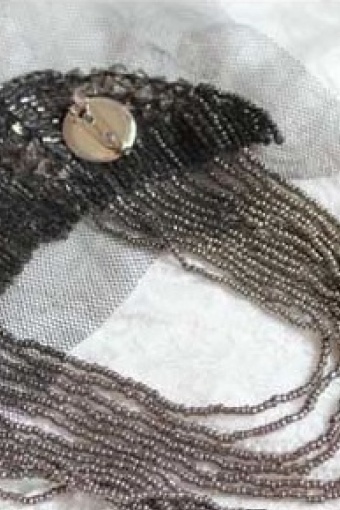 The epaulette was allready used in the French army as shoulder decoration to show the ranking officers. Now it's a real fashion accessory! 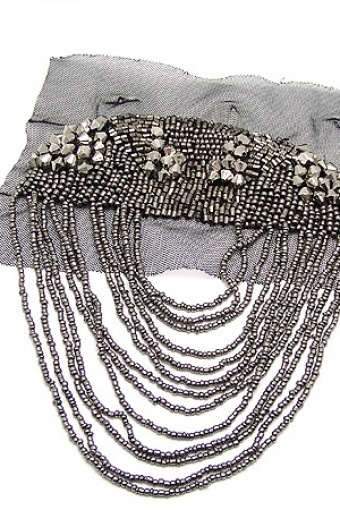 The brooch is made from silver coloured metal beads with studded beads on black tule. As seen on Hillary Duff picture 1.